Did you know that each year in September, countless individuals, families, caregivers, and organizations across the globe observe Childhood Cancer Awareness Month? During this time, every person is encouraged to participate in activities that aim to save the lives of more children from cancer. Even though the month has just passed, any day is a good day to help spread childhood cancer awareness and join the fight against this devastating life-threatening disease. The American Cancer Society states that in the United States alone, approximately 10,590 children below 15 years old will be diagnosed with cancer before the end of 2018. Moreover, 1,180 kids under the age of 15 are expected to die from it this year. 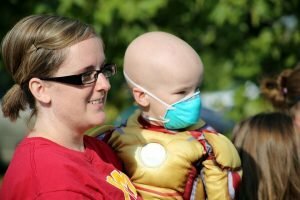 Jude’s Children’s Research Hospital confirms that cancer is the leading cause of death by disease among children in America and that around 420,000 childhood cancer survivors are currently living in the United States. According to Curesearch, 43 children are diagnosed with cancer every day. Furthermore, over 40,000 kids undergo treatment for cancer every year, and 60 percent of those who survive it suffer infertility, heart failure, and secondary cancers as adults. 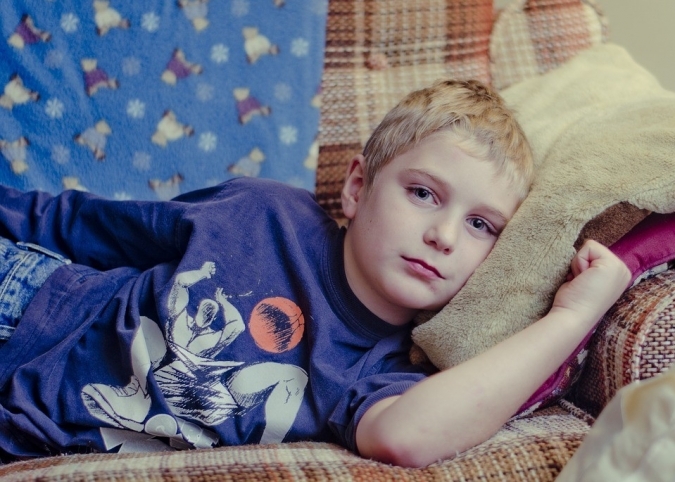 The National Cancer Institute reports that the most common types of cancer among children below 14 years old in the U.S. are leukemia, neuroblastoma, brain and spinal cord tumors, Wilms tumor, lymphoma, rhabdomyosarcoma, retinoblastoma, and bone cancer. The World Health Organization (WHO) reports that 80 percent of cancer-stricken children in high-income countries survive five years or more after being diagnosed. The prognosis for those who live in low and middle-income countries is less hopeful. The American Childhood Cancer Association states that every three minutes, somewhere in the world a family’s life is turned upside down upon hearing that their child has cancer. You can demonstrate your much-needed moral support for countless kids and teens who lose their hair during cancer treatments by shaving your head. Doing this bold move will show them that they are not alone in this battle and that you’re standing in solidarity with them. Raise awareness through social media. Post a series of facts about childhood cancer on Facebook, Twitter, and Instagram. If you want, you can also share informative blogs, inspirational stories that feature childhood cancer patients and survivors, or fundraising ideas for the benefit of kids who have cancer. Start a fundraising event in your community that can promote childhood cancer awareness. It could be anything from setting up a lemonade stand to organizing a bake sale or a sports event. Use the money you collect to support life-saving programs against childhood cancer. While almost everyone is aware that pink ribbons are associated with breast cancer, not everyone is aware that gold ones are for childhood cancer. Get people talking about pediatric cancer by wearing anything golden: gold shoelaces, ribbons, accessories, shirts, tank tops, and more! Even though Childhood Cancer Awareness Month is over, you can still show your support to those who are fighting against childhood cancer by doing any of the suggestions listed above. You will never know how powerful your support is until you’ve seen it. Extend a Helping Hand to Our Veterans, Too! While raising awareness on pediatric cancer, you can also choose to help our nation’s veterans who are facing difficulties in life by donating an unwanted car today to us at Veteran Car Donations. Your car donation will enable our struggling veterans to receive much-needed physical and mental health care, housing, job training, scholarships, transitioning assistance, and many more. Your charitable contribution will also enable us to provide assistance to grieving families of soldiers who died defending our freedoms and protecting our nation’s security. To know more about Veteran Car Donations, how we conduct our donation process, how you can claim hefty tax deductions from your charitable deed, what types of vehicles you can donate, and other related matters, check out our FAQs page. You can also call our toll-free 24/7 hotline 877-594-5822 or contact us online for your inquiries. Call us at 877-594-5822 and extend a helping hand to our nation’s impoverished and unsung heroes by donating a vehicle to us at Veteran Car Donations.